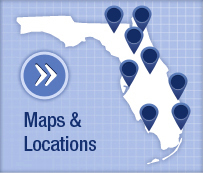 We are proud to care for patients at UF Health Shands Hospital, recently ranked one of the region's top hospitals for cardiology & heart surgery by U.S. News & World Report. 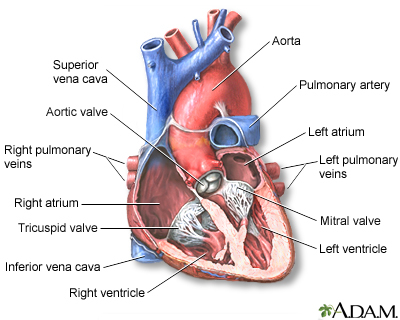 Congenital heart disease can describe a number of different problems affecting the heart. It is the most common type of birth defect. CHD causes more deaths in the first year of life than any other birth defects. These problems may occur alone or together. Most children with CHD do not have other types of birth defects. However, heart defects may be part of genetic and chromosomal syndromes. Some of these syndromes may be passed down through families. Often, no cause for the heart disease can be found. Congenital heart diseases continue to be investigated and researched. Drugs such as retinoic acid for acne, chemicals, alcohol, and infections (such as rubella) during pregnancy can contribute to some congenital heart problems. Poorly controlled blood sugar in women who have diabetes during pregnancy has also been linked to a high rate of congenital heart defects. Symptoms depend on the condition. 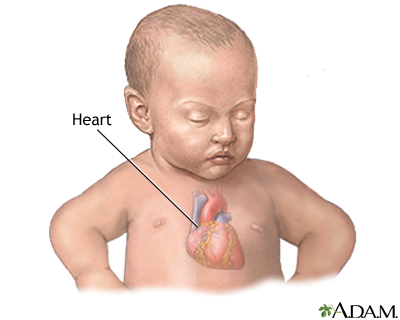 Although congenital heart disease is present at birth, the symptoms may not appear right away. Defects such as coarctation of the aorta may not cause problems for years. 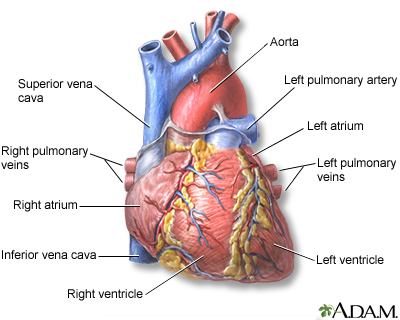 Other problems, such as a small VSD, ASD, or PDA may never cause any problems. 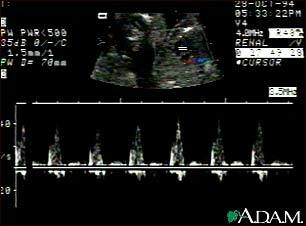 Most congenital heart defects are found during a pregnancy ultrasound. When a defect is found, a pediatric heart doctor, surgeon, and other specialists can be there when the baby is delivered. Having medical care ready at the delivery can mean the difference between life and death for some babies. 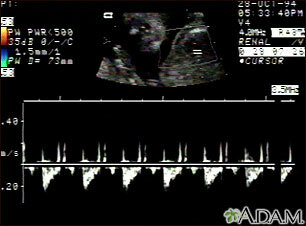 Which tests are done on the baby depend on the defect and the symptoms. Which treatment is used, and how well the baby responds to it, depends on the condition. Many defects need to be followed carefully. Some will heal over time, while others will need to be treated. Some congenital heart diseases can be treated with medicine alone. Others need to be treated with one or more heart surgeries. Avoid alcohol and illegal drugs during pregnancy. 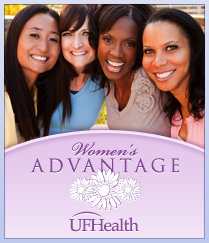 Tell your health care provider that you are pregnant before taking any new medicines. Have a blood test early in your pregnancy to see if you are immune to rubella. If you are not immune, avoid any possible exposure to rubella and get vaccinated right after delivery. Pregnant women who have diabetes should try to get good control over their blood sugar level. Certain genes may play a role in congenital heart disease. Many family members may be affected. Talk to your provider about genetic counseling and screening if you have a family history of cogenital heart disease. Fraser CD, Carberry KE. Congenital heart disease. In: Townsend CM Jr, Beauchamp RD, Evers BM, Mattox KL, eds. Sabiston Textbook of Surgery. 19th ed. Philadelphia, PA: Elsevier Saunders; 2012:chap 59. 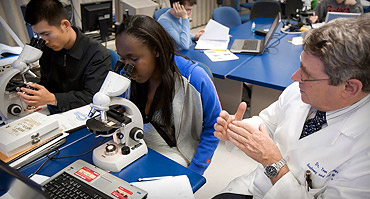 Larry A. Weinrauch, MD, Assistant Professor of Medicine, Harvard Medical School, Cardiovascular Disease and Clinical Outcomes Research, Watertown, MA. Review provided by VeriMed Healthcare Network. Also reviewed by David Zieve, MD, MHA, Isla Ogilvie, PhD, and the A.D.A.M. Editorial team.